This is specially dedicated to my lovable Bua'. This I learnt from her. 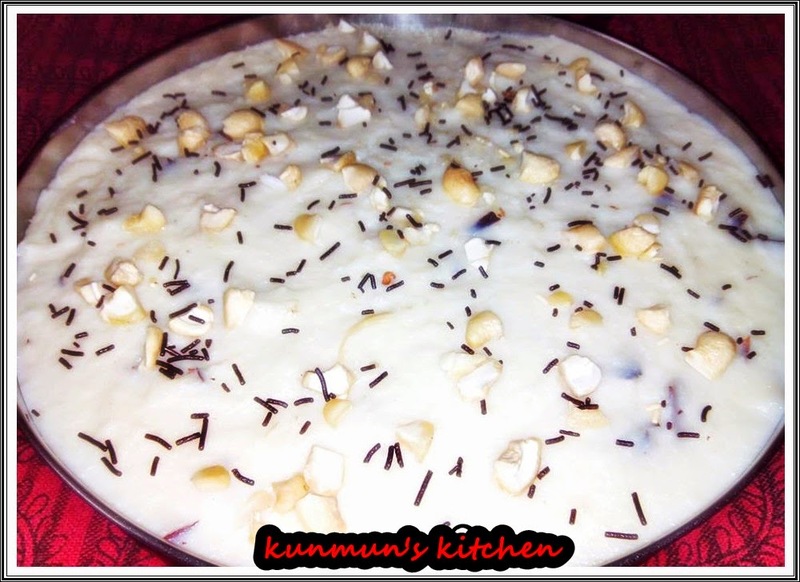 It's a healthy-easy-quick yummy dessert which made up of rice, sugar, coconut and milk...Any one can replace sugar by using jaggery. Anyone can take it in any Vrat or fasting. Boil the milk with sugar. Add a pinch of salt, crushed bay leaf . Add 1/2 cup water to the rice flour and mix it and make it liquid form batter. When sugar get melt completely, add the rice batter slowly slowly and stir it continuously. Cook it in low-medium flame. Make sure that there should no lumps. Add the coconut chunks and cashews. Cook about 8-10 mins, when it comes to halwa consistency add 1 tsp ghee and mix well. Switch off the flame. Sprinkle cardamom powder and mix it. 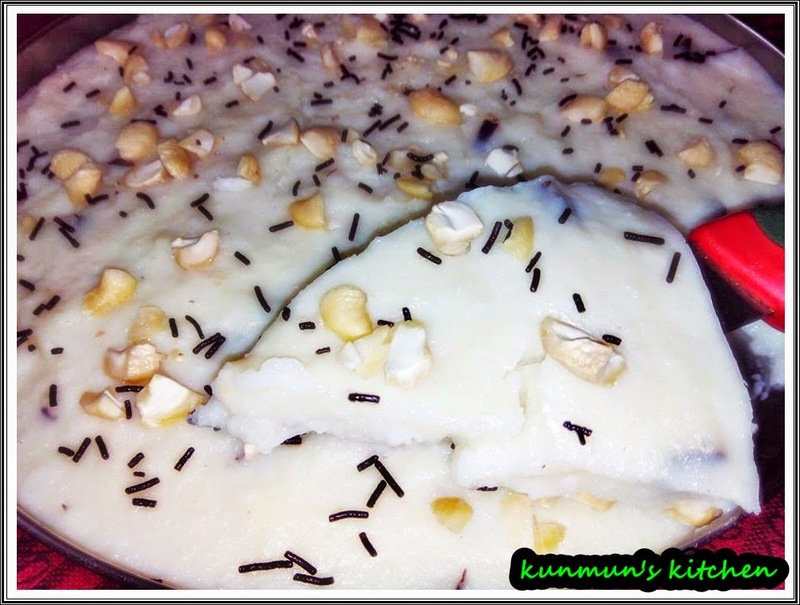 Transfer this halwa into a serving plate and let it cool at room temperature. Keep it in freeze for at least 1-2 hours and serve chilled. I've spread some chocolate rice grains while serving. Serve n Enjoy it !! !